As we update this page on an interim basis, we encourage you to visit our facebook page for news, information and design releases of our ongoing and latest development projects. Windy N Ranch, an Ellensburg, WA based family owned ranch is a long-standing client whose site was recently rebuilt and redesigned. Their meats, poultry and eggs are second to none when it comes to delicious, homegrown products that go right from the ranch to your family's dinner table. As November approaches, Thanksgiving is just around the corner, and like every year, it will soon be time for the family to come together to enjoy an unforgettbale meal. Windy N Ranch specializes in Pastured Heritage Turkeys that are like nothing you've tasted before! After reconstructing and launching their new website, the need to rank at the top of the search engines for these specifically sought out turkeys is paramount to Windy N Ranch. ES Interactive has been called back into action to run a time-sensitive campaign to push this particular item up the rankings in order to drive increased sales for these Thanksgiving turkeys. The campaign was recently launched and several key terms that were previosuly non-ranked have already begun to climb the search engine rankings. The campaign will be run using a variety of on-page and off-site ranking techniqes that are completely natural and always white hat. ES Interactive has once again been called in to partner with Live Imagination of Tacoma to take on a major SEO campaign for Personal Injury and Tacoma DUI Attorneys, Hester Law Group of Tacoma. Hester covers many areas of legal practice and spans a wide range of areas serviced throuhgout Pierce and King Counties. The campaign will cover many facets of growth, exposure and prominence as the competition in the legal industry is always fierce, but we are looking forward to the challenge. New website redesign to kick off August, 2014. Progressive Pipeline of Meridian, MS has been a leader in the pipeline construction industry for more than 15 years. The problem is that their company website does not make the impact the company needs and really doesn't do this top-notch organization the justice it deserves. Progressive Pipeline turned to ES Interactive and said "redesign our website". And we intend to do just that will a goal being to resurrect their overall image and provide a site with impact, appeal and credibility to provide a more professional impression to prospects who visit their site. The project is set to get underway in August of 2014. ES Interactive introduces its new KickStart SEO program geared toward smaller businesses with more limited SEO budgets who are looking to put their best foot forward and increase their rankability over time, without breaking their bank or marketing budget. ES Interactive was called in to collaborate with Live Imagination of Tacoma to boost the online prominence of the veterinary referrals segment of the business. The SEO initiative will last approximately one month. Mayes Testing Engineers, Inc., with locations in Lynnwood, WA, Tacoma, WA and Portland, Oregon has contracted with ES Interactive for the design and development of a new website. The client's current site is dated and lacks the flexibility needed for in-house staff to update and modify site content on the fly. Along with a brand new look and feel, we will be constructing a custom content management system so company employees can change page content, imagery and other pertinent information on their own. We anticipate kicking off the project in April of 2013 and should be complete by late Spring. A Seattle Process Service company has been serving the Puget Sound area since the mid 1990s. The problem was that with so much emphasis on a company's web presence vs. its importance 18+ years ago, it was time for the client to ramp up its focus on the web. Word of mouth and an existing client base is nice, but there's much business to be had directly from the web these days. While this was is a simple small business web design project, the resulting redesign gives Washington Legal Messengers a much stronger leg to stand on and a much more impressionable first impression. The project also entailed the development and deliver of a custom content management system (CMS) which allows the client to modify service rates, references and other pertinent information on their site; both things they could not do previously. Visit our website redesign and upgrades page to take a look at their before and after screenshots. ES Interactive first built this site in 2008. Shortly after launch, we embarked upon a complete SEO campaign for the online retailer. After going from zero recognition to a constant flow of daily orders from all over the world, the shop realized that its little dream had grown considerably larger than first anticipated. After adding several new Lauren Vidal pants product lines to their lineup and maintaining what was to be a tiny, occasionally updated site, the steady flow of traffic and new customers made it anything but! To minimize the time needed to add new product lines and maintain product availability and inventory, The Little Shop called on ES Interactive to custom design a complete administrative CMS, inventory manager and automated product galleries. The once tedious task of maintaining and adding products has now been reduced from days to a matter of minutes and the client is now completely self-sufficient with complete control of their entire site and product lines. 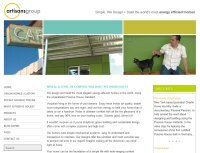 The Artisans Group, energy efficient home and Seattle Passive house builders had its web development team, Live Imagination of Tacoma, collaborate with ES Interactive to launch and execute an on page and off-page search engine optimization campaign. We will be working closely with the design and development team for perform optimization both on and off site in an effort to broaden the client's reach and increase its current rankings. The Barking Lounge, located in Seattle, provides daycare, training, grooming and a variety of pet services. This Seattle daycare for dogs website even features live webcams so the busy traveler can check in and see how their beloved pooch is doing while they're away. ES Interactive is taking on a consulting role, by partnering with Live Imagination on the SEO and online marketing services for The Barking Lounge and will be helping the client to establish and maintain prominence in and around the Seattle area for its specific pet care niche. Seaworthy Services is a Seattle boat repair service in need of improved rankings and an SEO campaign that will take them to the next level. While the web design and development was not performed by us, Live Imagination of Tacoma has called upon us to begin intensive on site and off site work as part of an aggressive marketing campaign to push this Lake Union based company up the rankings and ahead of their competition. The process is just beginning in August of 2014 and we are looking forward to the challenge. Alliance Pro Cleaners of Bellevue needed a new website and complete content management system to make updating their site quick and easy. Unfortunately, the original development company that was hired failed to complete a quality design and could not successfully develop the CMS required. 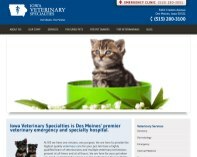 ES Interactive was called in to start from scratch with a brand new design, database and custom CMS. Within a few weeks, the new site was completed, launched and we are now onto the social media campaign management for Alliance. Julie L. Sloan, LLC of North Adams, MA is a renowned stained glass consultant, author and lecturer, featured in books, articles and highly respected publications. The company's website did very little to convey the level of expertise and experience that the company brings to the table so ES Interactive was hired to redesign their website and develop a full customized CMS for the company and its staff. In 2011 and early 2012, we developed two event tracking and management websites for Microsoft preferred partner events. Both projects were a success. As a result, we were recently awarded a contract to develop a complete, multi-event planning and management site for Microsoft. The new site will allow company administrators to define new events, structure worldwide event venues and manage all registrants and participation through a custom CMS that we will develop. The CMS (content management system) will be feature rich, giving administrators extended functionality above and beyond simply defining corporate events. Included in the development will be custom document management, event reporting and automated capacity planning, and a full scale reporting system to quickly and easily monitor and manage events. 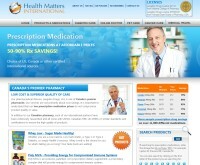 Health Matters International is a premier online Canadian pharmacy that provides high-quality, affordable medications to individuals worldwide. ES Interactive was responsible for enhancing the entire shopping experience for customers on the front end, while simplifying and streamlining the customer service and fulfillment process on the back end. Aside from a completely new custom design, the site's overall navigation was greatly simplified which included faster and easier searching through a database of more than 11,000 medications and supplies. Integrated Benefits, a Seattle/Tacoma insurance benefits company hired ES Interactive for its new custom web design, CMS and affiliate marketing website design and blog. The client has complete control over the website's contents via a secure, custom back-end content management system which was completely redesigned to provide a smoother and more credible experience for its website visitors. Live Imagination of Tacoma, WA partners with ES Interactive to provide on-page and off-page website optimization services targeted toward areas of its marketing and promotions that are currently lacking strength and rankability on the search engines. Project will focus on CPR training for instructors and certification ACLS renewal initiatives. 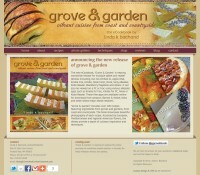 ES Interactive announces the launch of the Grove & Garden cookbook website which features a design offering recipes, photo galleries and a complete custom blog solution for the author. The Content Management System offers a robust set of tools which allows the site owner to modify and maintain all aspects of the website contents, announcements, recipes and photo galleries. 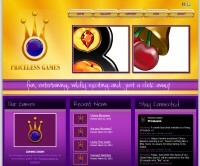 Australia-based FaceBook game company, Priceless Games new website design and blog successfully launched. The next phase of the project will be to develop a custom, interactive forum platform for interaction between staff administrators, game testers and gamers. 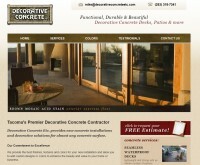 New SEO project started in partnership with Live Imagination to provide on and off-page web optimization services to Tacoma-based Decorative Concrete. The company provides concrete sealing, stamped concrete, concrete coloring, waterproof decking and custom concrete flooring services within the Tacoma, Gig Harbor, Puyallup and Lakewood Regions of Washington. ES Interactive partners with Live Imagination to collaborate in providing search engine optimization consulting and implementation services for Sound Options, a Seattle-based senior care company that provides Seattle Home Care, elder care coaching and senior care services to the King and Pierce County regions of Washington State. 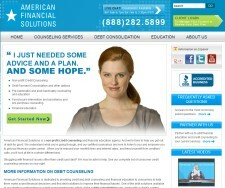 In late 2011, ES Interactive was called upon by American Financial Solutions to provide a more flexible, streamlined web design and custom administrative back-end for their website. After launching the newly designed site, a second phase of the project will be launched which includes custom SEO & competitive analysis to regained their once dominant rankings in the credit counseling and debt consolidation niches.